It had snowed last night. There was a thin layer of snow on everything that was exposed. The vehicles used the ramp in front of the hotel to propel and ignite the engines. A local said that some of the worst cars are the Tata Diesel variants. They need external battery to help them with ignition. A view from my hotel balcony. A thin layer of snow is visible on the cars’ windows and windshields. 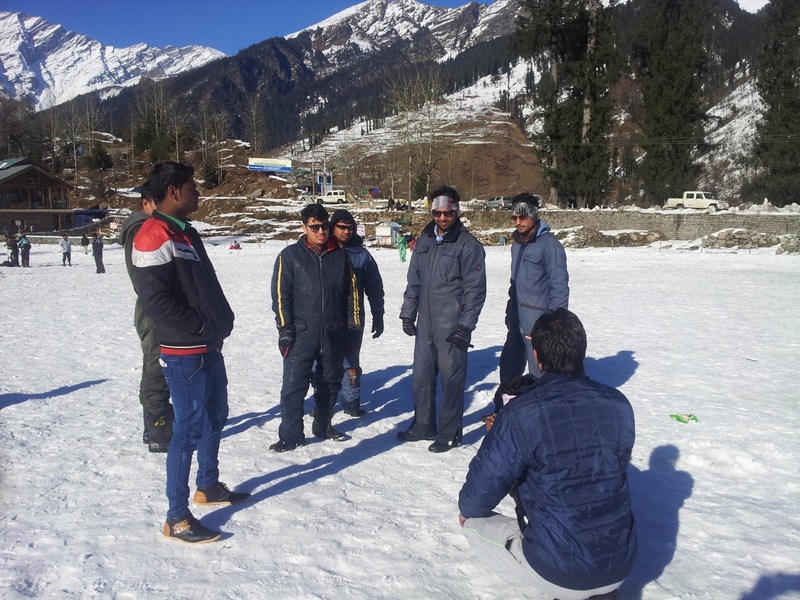 A group of Delhi guys ranging from 18 years and 24 years had come to Himachal in search of cheap hash. If there is one word I can use to describe them, it would be ‘baboons’. It was my bad luck that I shared a Tempo Traveller with them. Last night they had drunk a bit too much and they woke up at 10:00 clock. I should have taken a separate taxi. For just 500 rupees more, I could have saved a lot of time. Since I had about an hour before the baboons got ready, I decided to stroll through the roads. 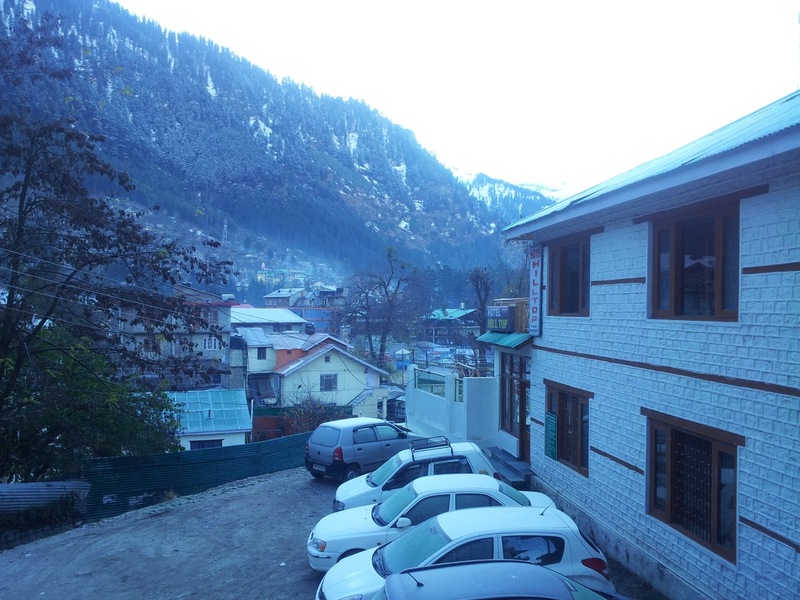 Manali was still waking up. 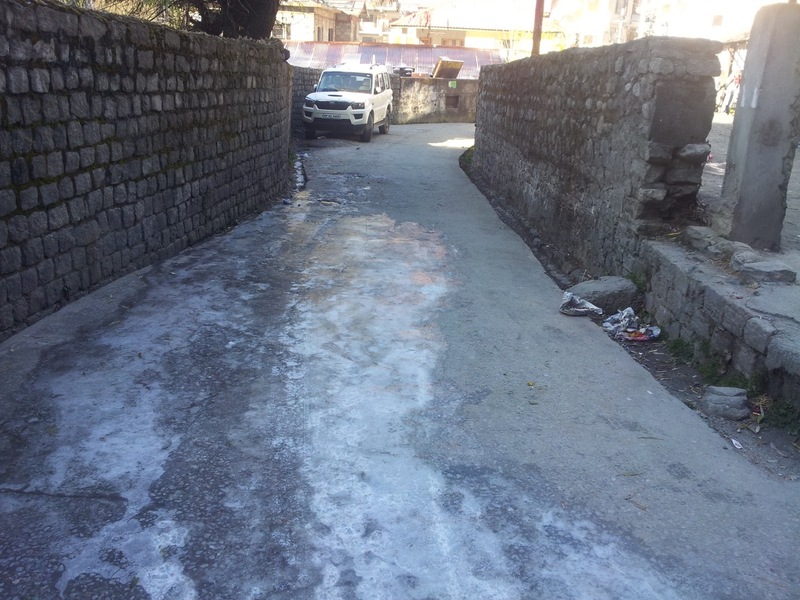 The snow gets compressed by vehicles to form this slippery and dangerous layer of ice. I saw a lot of boards in other languages to lure in the tourists who cannot survive on different styles of food. 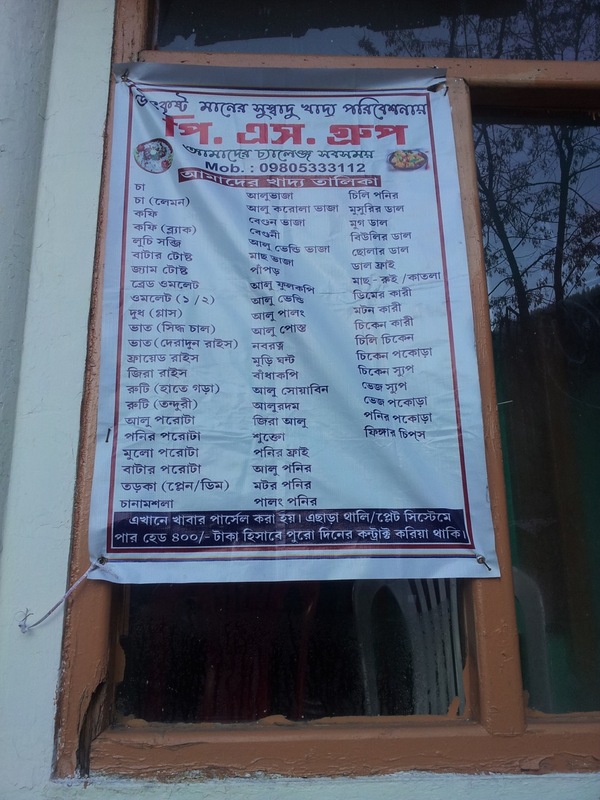 While others had just mastheads and boards, this one had put the entire menu outside in Bengali. This shows how many Bengali tourists visit this place. Van Vihar didn’t open even at 10:00 am. It was during this time that my mobile continuously popped up the following message – ‘Unfortunately Google Apps has stopped. Report / Ok’. The choice was immaterial. It was stuck in some infinite loop. Since this was my sole camera, I had to revive it. Thankfully, I had the Cyanogenmod ROM and GAPPS in my SD card. It took me about half an hour to reinstall. At least after that the camera was working. All my installed apps were gone. 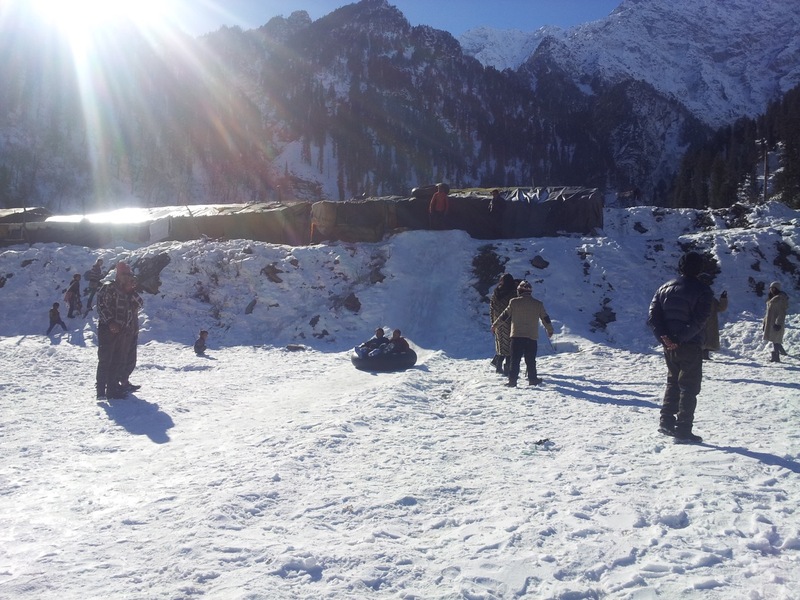 Rohtang Pass is blocked by the government. 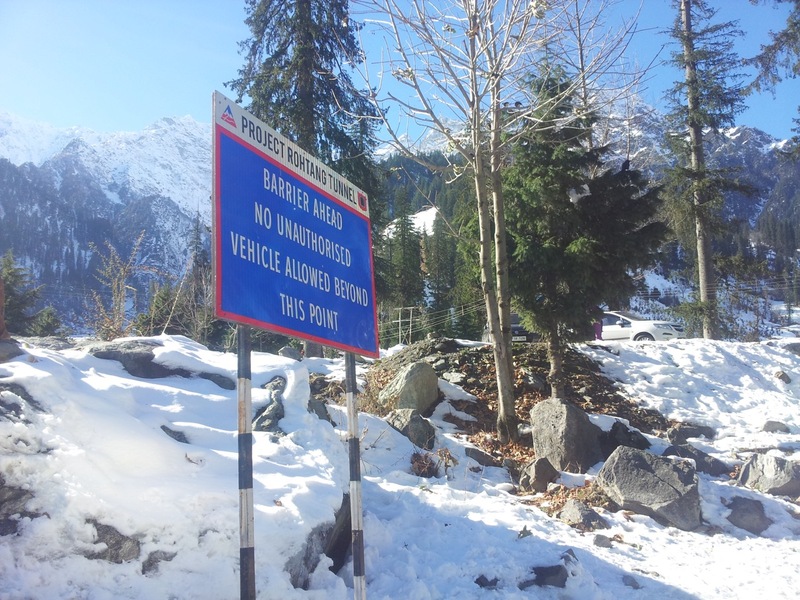 During season, the route is opened for a limited number of vehicles. These vehicles are forbidden to stop at the pass. Doing so would incur a fine of 5000 rupees. 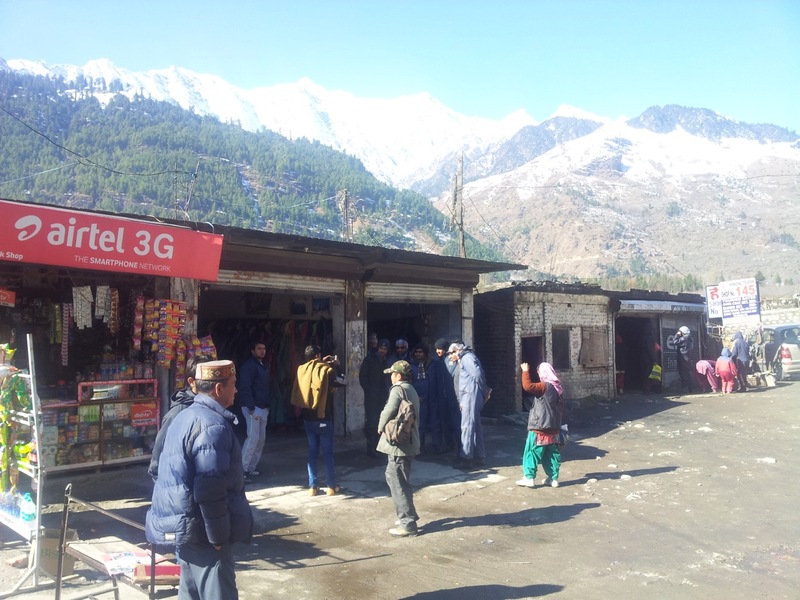 In the absence of Rohtang, people flock at Solang Valley. These shops rent snow jumpsuits and arrange guides for skiing. The only thing that I needed was a pair of gumboots. Yet, I hired the entire jumpsuit because there was no point in dirtying my trousers or soaking my socks wet. The other kids had also paid for skiing equipment and a guide. The skis were broken. 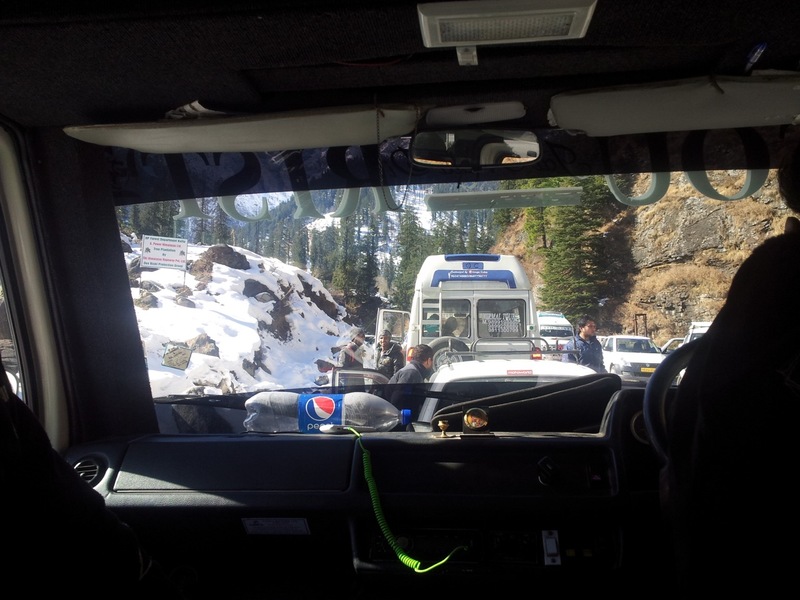 There was a huge jam just at the onset of Solang Valley. While the baboons were busy wasting time playing with snow and then trying their hands, or legs, at skiing (and crashing multiple times), I decided to trek to the farthest possible point. That slope far ahead is used for ski practice. 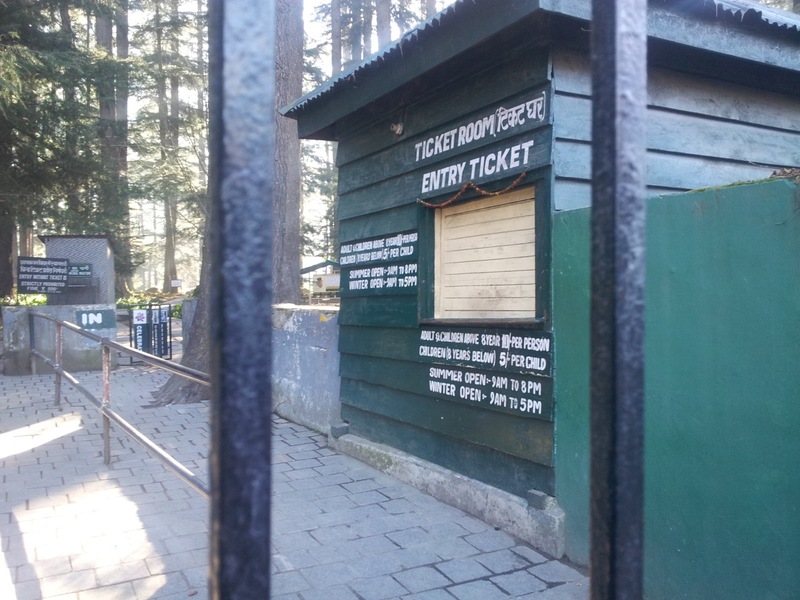 There is also a ropeway that wasn’t in operation. The image above was taken from this sign post. 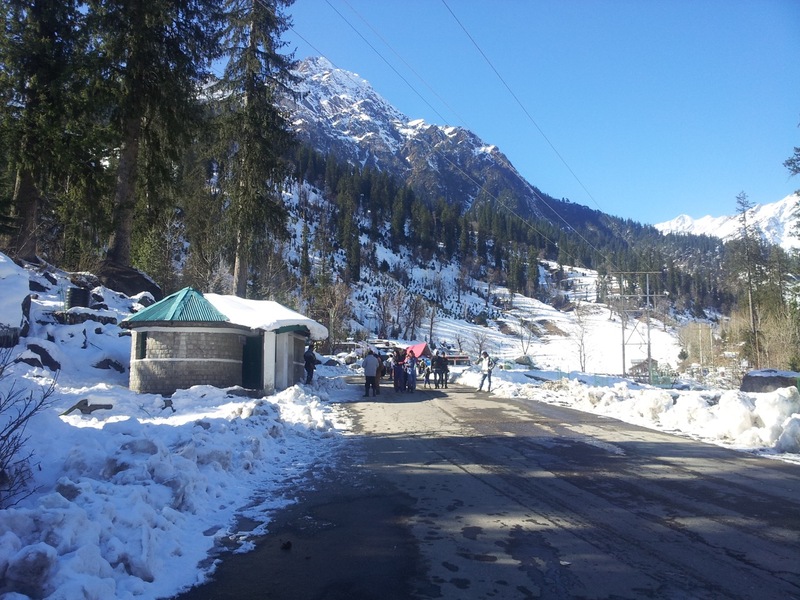 I went upto this point. There were no trails beyond this point. I am sure there was a way to climb up but I was under equipped. 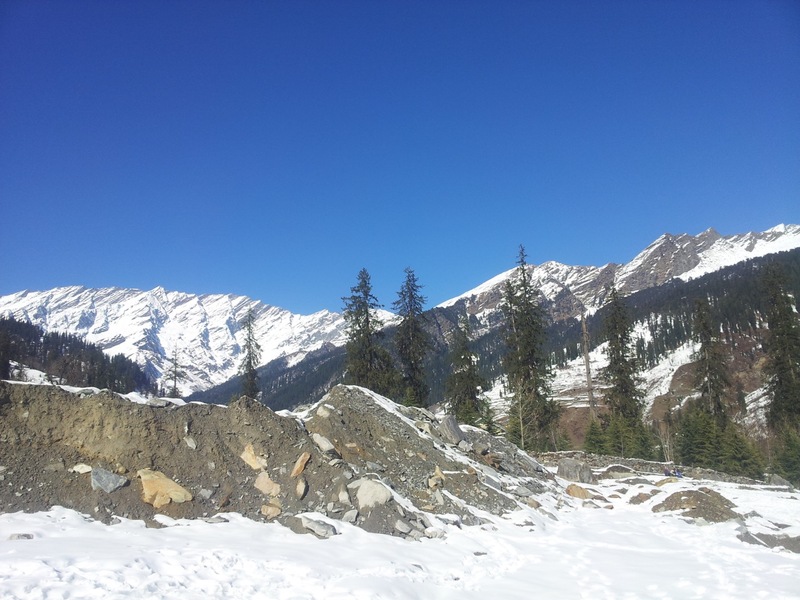 The view of the mountains on the other side. People found different ways to entertain themselves. Some of the guys (baboons) did not finish their skiing even at 3:00 pm. They were more interested in taking photographs in ski equipment. 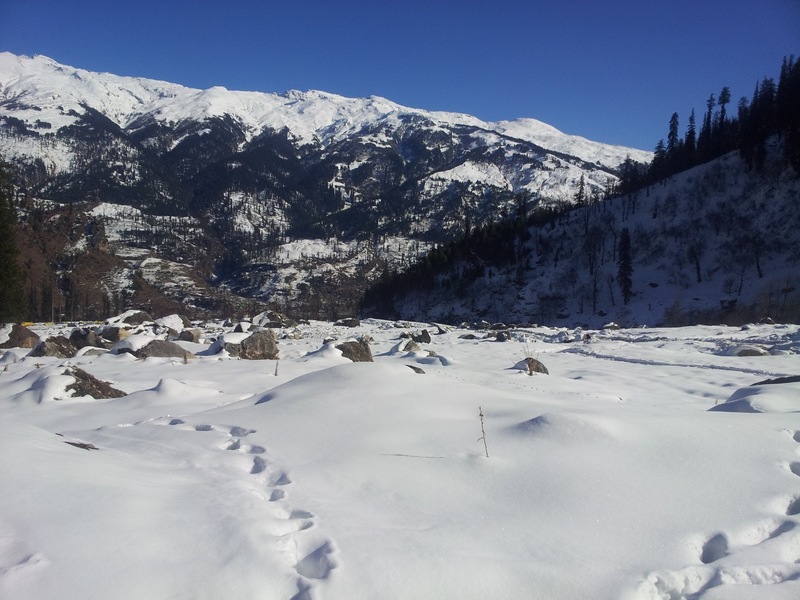 In fact, they did not even have enough stamina to walk or endure the cold. Two kids were playing with an inflated tire. A few other kids were playing with Whiskey, Rum and Hash. The Tempo Traveller took a detour to Vashist temple because I insisted. The baboons were not able to sit properly due to cold. Some of them reluctantly undertook the 1 km uphill trek. They got lost somewhere and returned about half an hour after I was back at the vehicle. 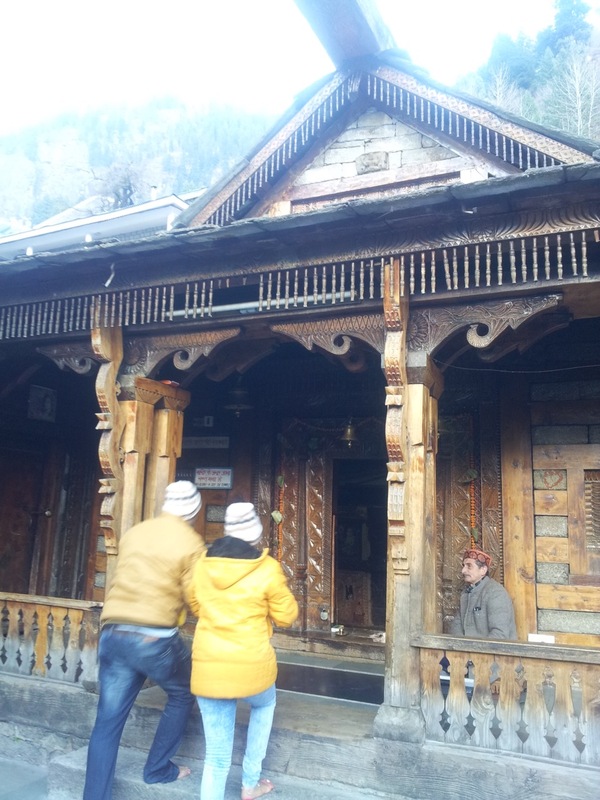 This is Vashistha’s temple. Again, there is a whole myth associated with it along with a hot water spring bath. 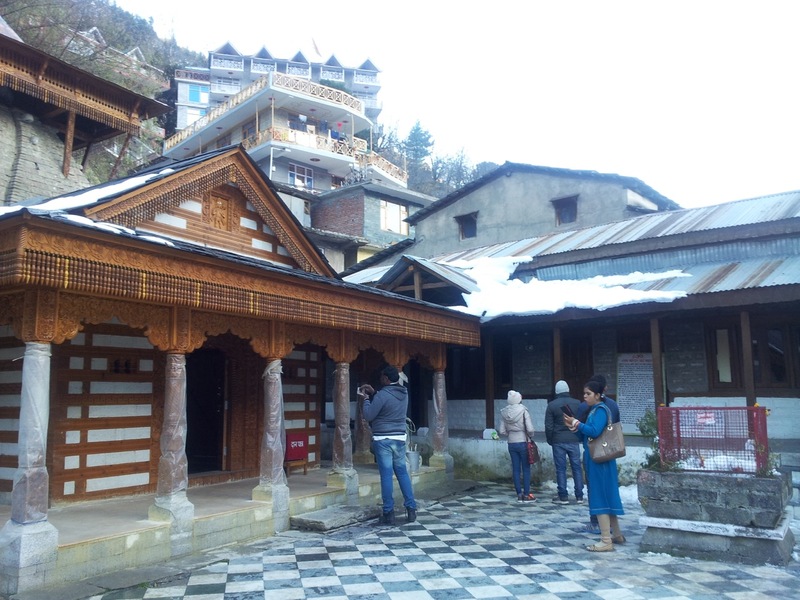 A newly constructed temple of Rama is also adjacent to the Vashistha temple. When the Tempo Traveller reached the hotel it was too late. The baboons were more interested in finding some cheap whiskey and hash. I was more interested in trekking to Hidimba Temple (It was about 2.5 kms uphill from my hotel). 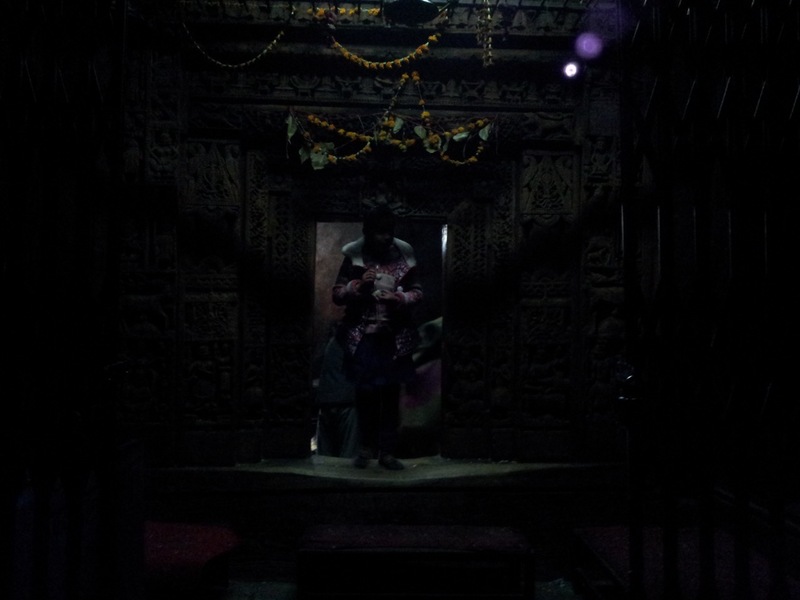 The road turned darker as I reached closer to the temple. Unfortunately when I reached the temple, there was no power. This is the best I could click. 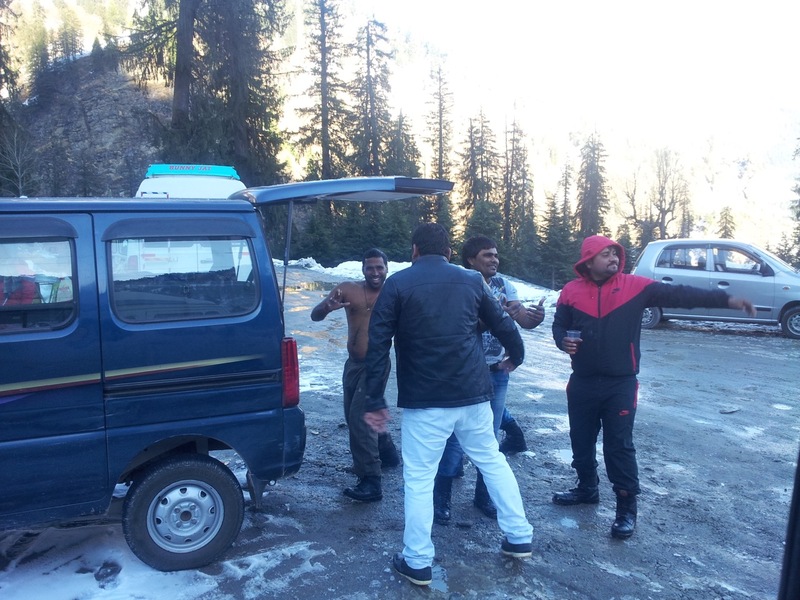 Later, I met two of the baboons shivering in cold and carrying some liquor on mall road. I did not acknowledge their existence.